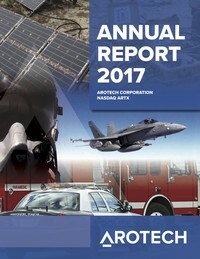 Arotech Corporation provides quality defense and security products including multimedia interactive simulators/trainers and advanced portable power solutions for military, law enforcement, municipal and homeland security markets through its two divisions: Arotech Power Systems and Arotech Training and Simulation. Arotech’s divisions are built on a level of commitment and cooperation with our customers wherein we aim to be an extension of our customers’ design and manufacturing function and to stay a step ahead of anticipated requirements. Our familiarity with the defense and homeland security industries, related technologies, vast experience in dealing with government agencies, the military and large corporations, commitment to deliver our best efforts and to exceed expectations are evident in our cutting edge and industry standard products. 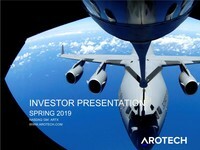 Arotech corporate management provides focus, growth strategy, finance and M&A expertise and direction and assists its companies to continuously engineer innovative solutions to meet widely diverging and rapidly developing customer needs. Be the first to receive breaking news.